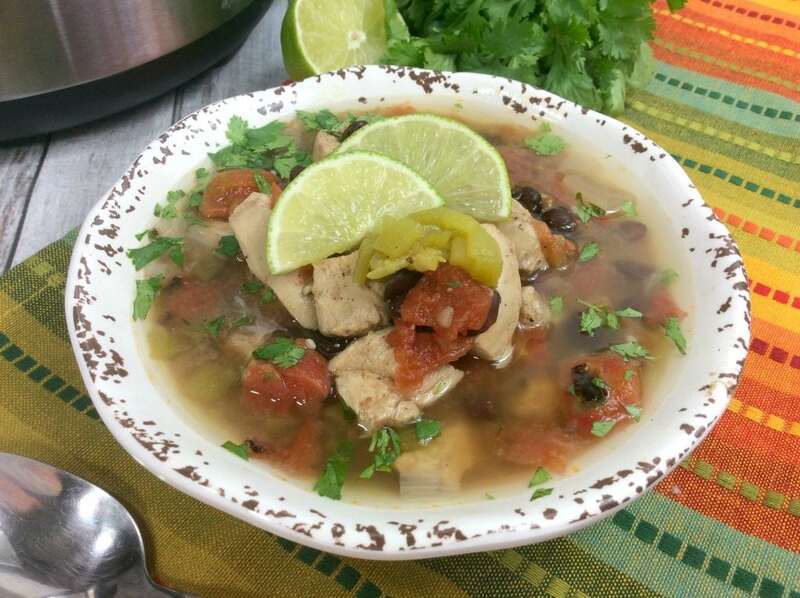 Are you looking for a delicious chicken soup recipe that is full of flavor but not high in calories? 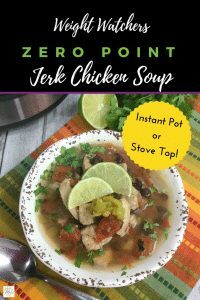 You will love this Weight Watchers Zero Point Jerk Chicken Soup recipe. Jerk chicken is a Jamaican style of preparing chicken and other meat that is rubbed with spices, especially allspice and peppers, for a tangy, spicy flavor. Jerk seasoning provides warmth but is not overly spicy. 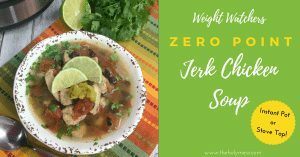 This Weight Watchers zero point jerk chicken soup is perfect for the Weight Watchers lifestyle because – yes, zero points! 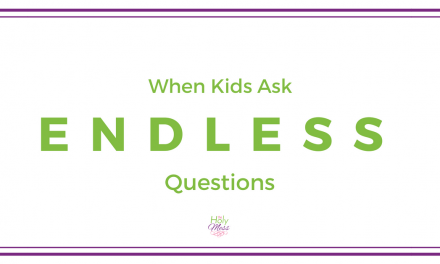 Enjoy this soup as a hearty lunch or filling snack without the need to count points. 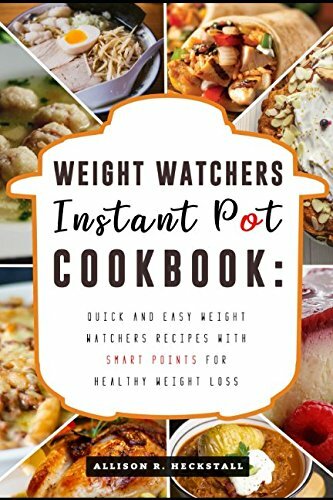 Soup is a wonderful way to round out your Weight Watchers program because there are many options you can make with zero or low points. 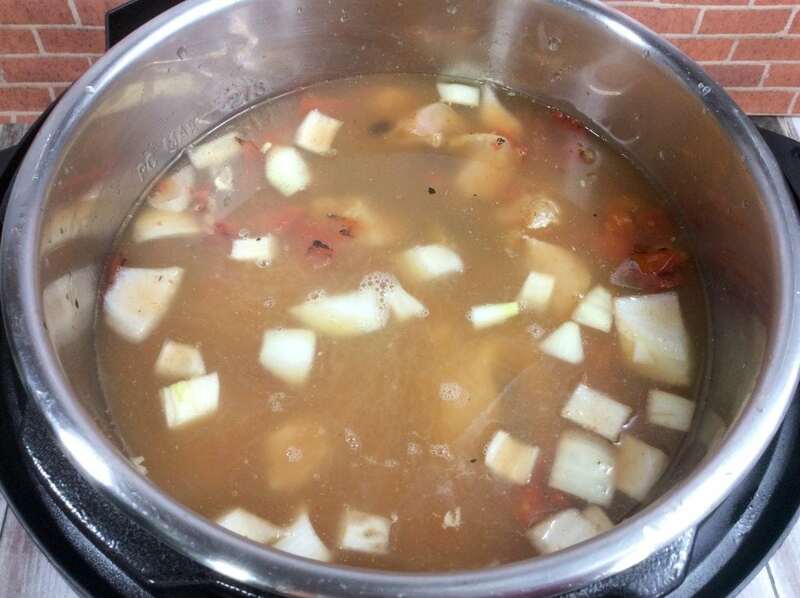 If you remember the old Weight Watchers cabbage soup recipe, we have an updated version here. 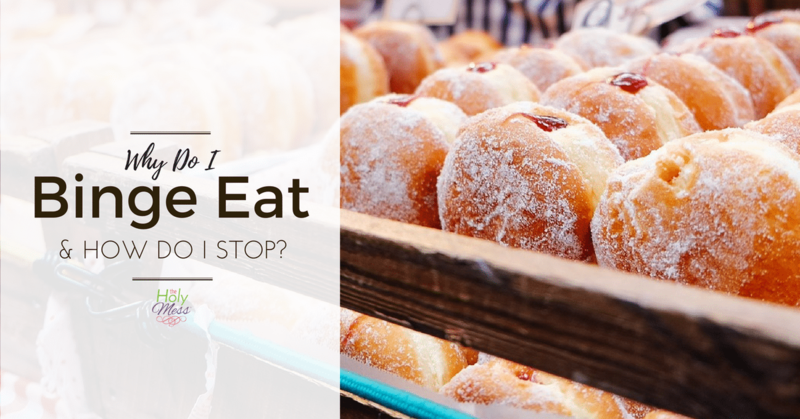 Check out the 200 Weight Watchers zero point foods to learn more about how you can build a healthy day’s worth of eating that keeps you full and satisfied. This Weight Watchers zero point bean and vegetable soup is another delicious option. This Weight Watchers Zero Point Jerk Chicken soup recipe is absolutely packed full of warmth but because it’s zero points, you can enjoy it guilt-free. The warm Jamaican Jerk spices add layers of flavor but are not overly spicy. This low calorie Weight Watchers soup is absolutely bursting with flavor. With zero points, you can enjoy this soup guilt-free. 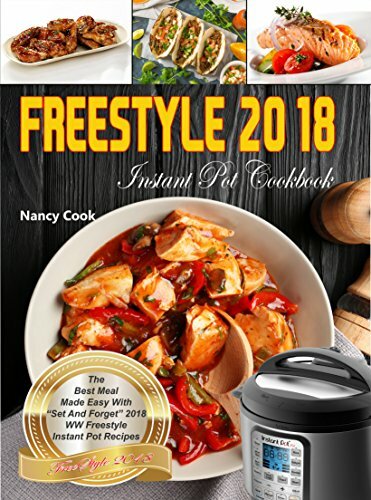 Make it with your Instant Pot pressure cooker or on the stove top. In a small bowl add all the spices - cayenne pepper, ginger, garlic, salt, red pepper flakes, and pepper and mix the spices together. 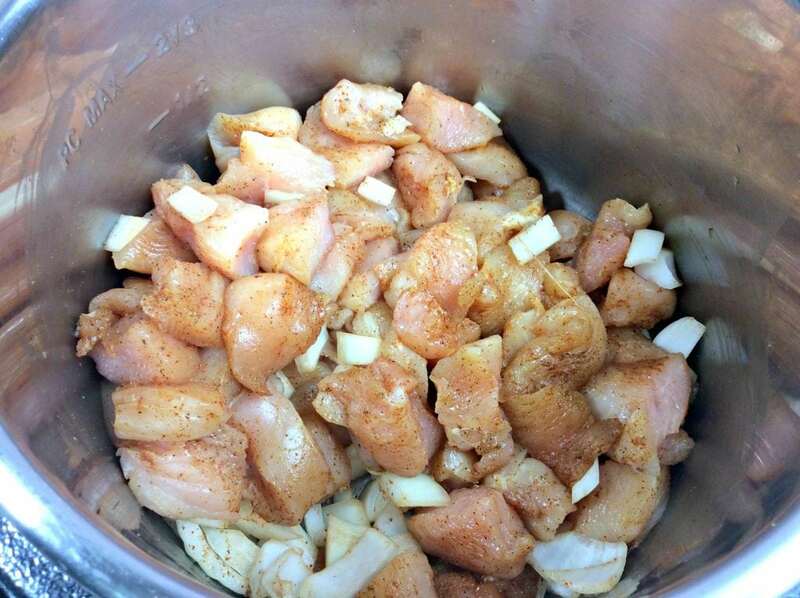 Prepare chicken pieces and place them in a large ziploc bag. Add spices to the chicken and shake to coat. 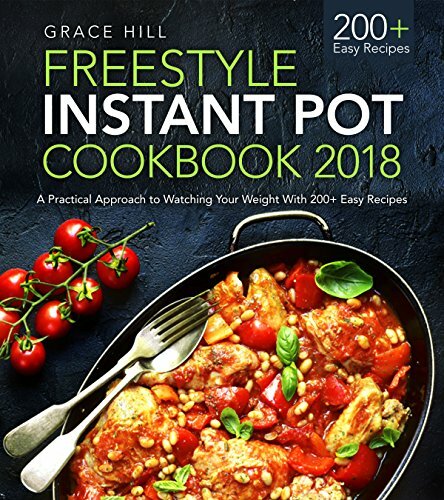 Instant Pot instructions: Add the seasoned chicken, garlic, onion, tomatoes, black beans, lime juice, and chicken broth to the Instant Pot. 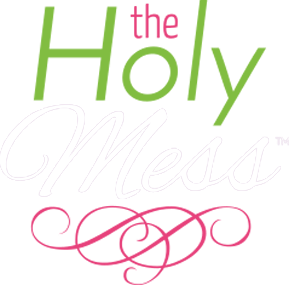 Place lid on the Instant Pot and close. 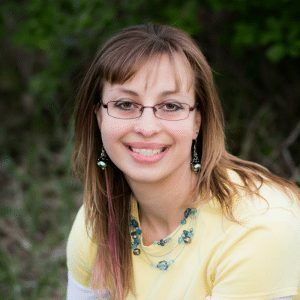 Close the vent on your Instant Pot to seal. 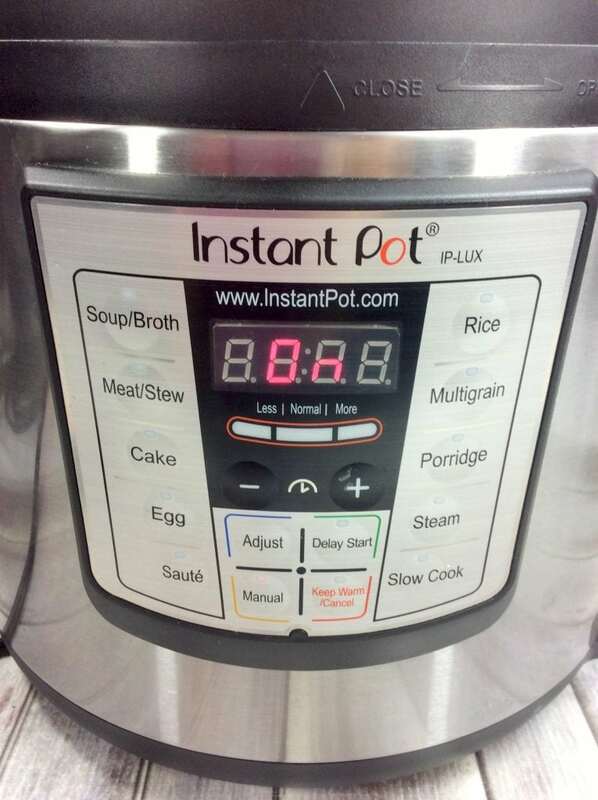 When pot beeps, allow Instant Pot do a natural release. Stove Top instructions: Place all ingredients in soup pot. Simmer on stove for 30 minutes, stirring occasionally. In a small bowl add all the spices – cayenne pepper, ginger, garlic salt, red pepper flakes, and pepper and mix the spices together. Prepare chicken pieces and place them in a large ziploc bag. Add spices to the chicken and shake to coat. 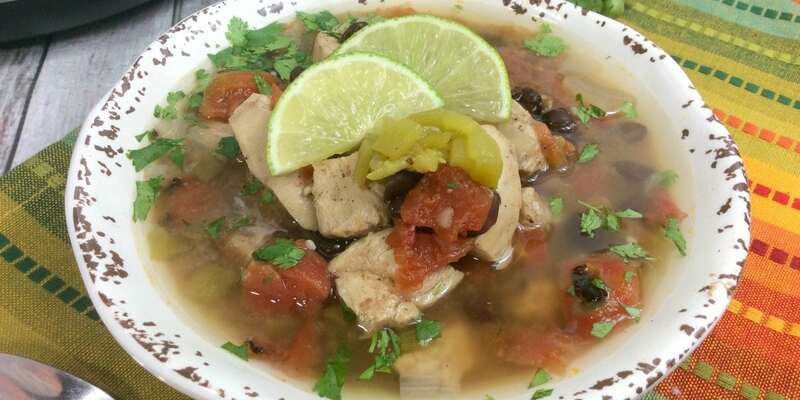 Add the seasoned chicken, garlic, onion, tomatoes, black beans, lime juice, and chicken broth to the Instant Pot. 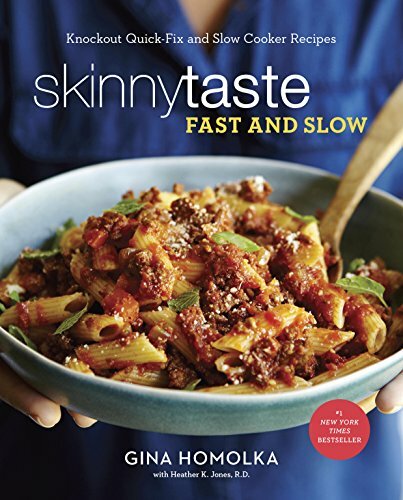 What’s your favorite Weight Watchers soup recipe?